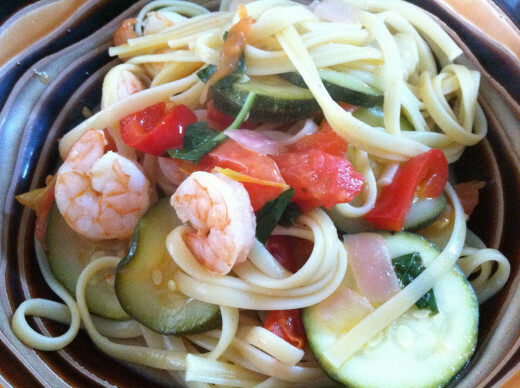 Easy Healthy Shrimp Pasta Recipe- Together in 30 Minutes! Shrimp and pasta are like cookies and milk; they just work together. For this recipe, I simply whipped together a meal with the dribs and drabs of produce left in my fridge. It is kind of like a scampi primavera combination. So we could call it Shrimp PrimaScamp! The nice thing about this meal is it is quick, easy, and healthy. There is no cream so it is perfect for a light dinner. 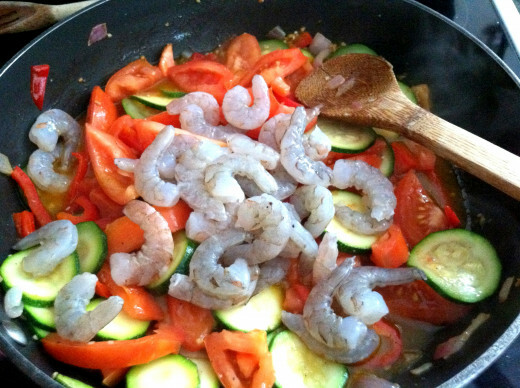 You can use cooked or uncooked shrimp, frozen or fresh, so it is quite versatile. I will explain your shrimp options a bit further down. For now, put on your apron and put away a recipe card. Read this article, look at the pictures, and then dare to create your own version. This dish likes to be spontaneous! 1. You need some garlic and onions. These sauteed in olive oil add a depth of flavor. 2. You need some fresh veggies. Two is a good number. You can use squash, zucchini, peppers, mushrooms, carrots, broccoli, green beans, or eggplant. It really does not matter. Pick what you like! 3. You need tomatoes, fresh lemon juice, and pasta water for the sauce. 4. You need shrimp. 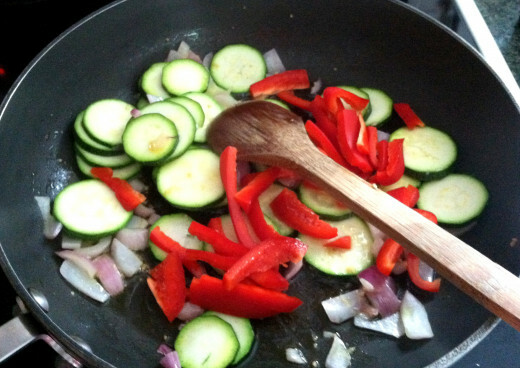 If you use the un-cooked kind, it will need to go in the pan with the veggies (I will show you in the picture). If it is pre-cooked, just throw it in at the last minute to heat up. You can even grill marinated shrimp separately if you want to be fancy and add it on top of the pasta and veggies! 5. You need pasta. 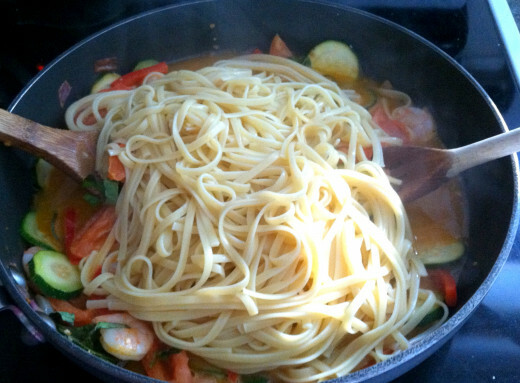 Any sort of long stringy kind will do- linguine, spaghetti, angel hair, etc. 6. For extra flavor, you will need a fresh spice (like basil or parsley) and some shredded parmesan cheese. Get a large saute pan and drizzle olive oil on the bottom. Chop up some fresh garlic and onion. Do not ask me how much, I really do not know. Just enough! 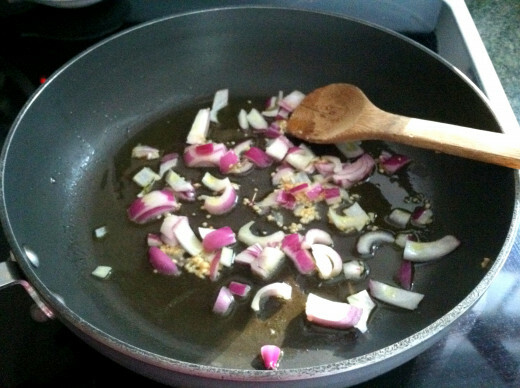 You can use white onion, sweet onion, red onion, or even shallots! Now chop up some veggies and add it to the pan. For my PrimaScamp, I love to add red peppers and zucchini. It is colorful and the flavors are delicious! Cook for awhile until they soften. While your veggies are cooking, now is the time to start up the pasta. 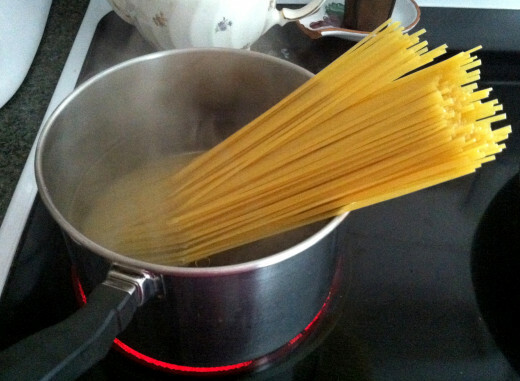 Now do not forget (and I will remind you again), but you need to reserve some of the pasta water before you drain it, so don't drain it until you've done so. 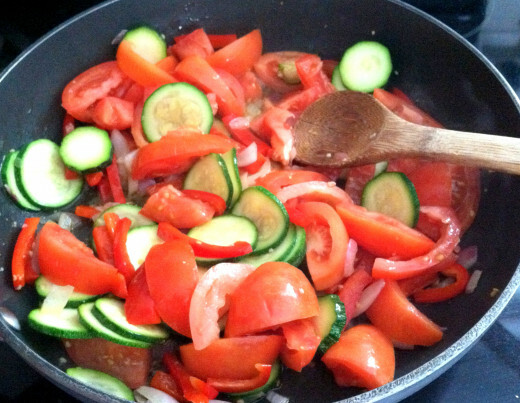 Now that your veggies are softening, it is time to add the tomatoes and lemon juice. 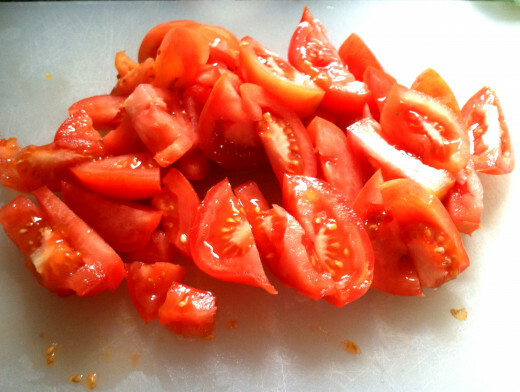 Coarsely chop a bunch of tomatoes (the more the better) and keep the seeds. 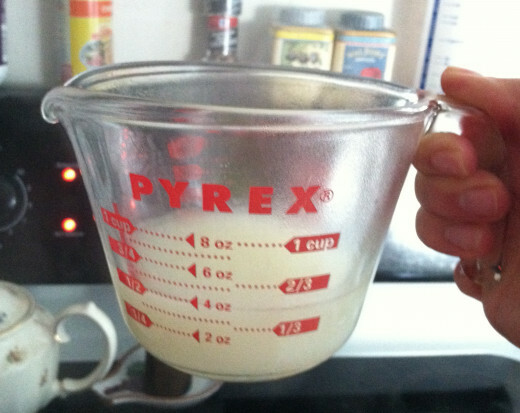 Add it to the pan and liberally squeeze lemon juice over the whole thing. Your pasta should be about done. DON'T drain it until you have reserved at least a 1/2 cup of pasta water. Pour that into the saute pan. The starchy flavor adds some thickness to your tomato based sauce. Once you have done that, drain the pasta, add a little oil so it doesn't stick together, and add it to the veggies. Once it is all combined, you can turn the heat down to low and let the flavors mix together. Or, if you are starving, serve it up in bowls. 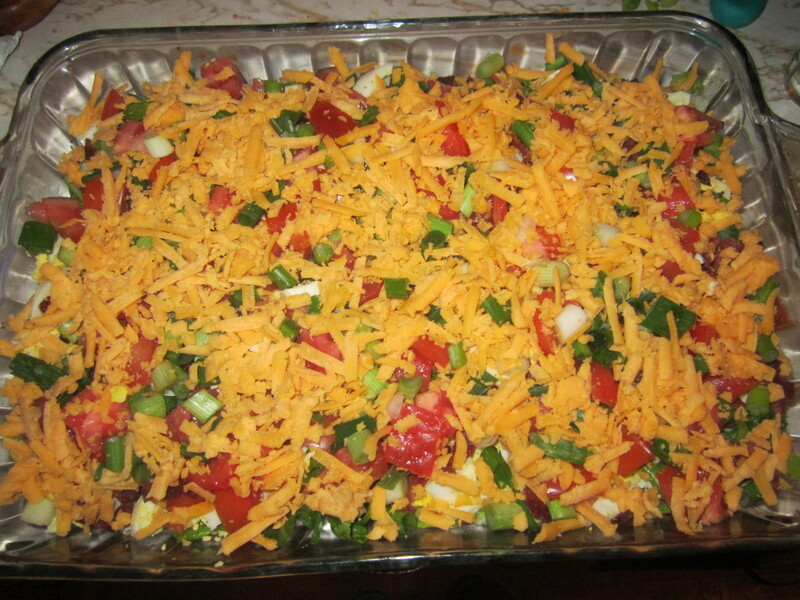 If you'd like, add some fresh herbs, cheese, and salt and pepper. Enjoy! All I can say is yum! Shrimp and pasta together is a great taste. Thanks for sharing. Took awhile to get back. Yes I did and easy to make. I think the shrimp was even on sale! This looks great. Will try it this week. 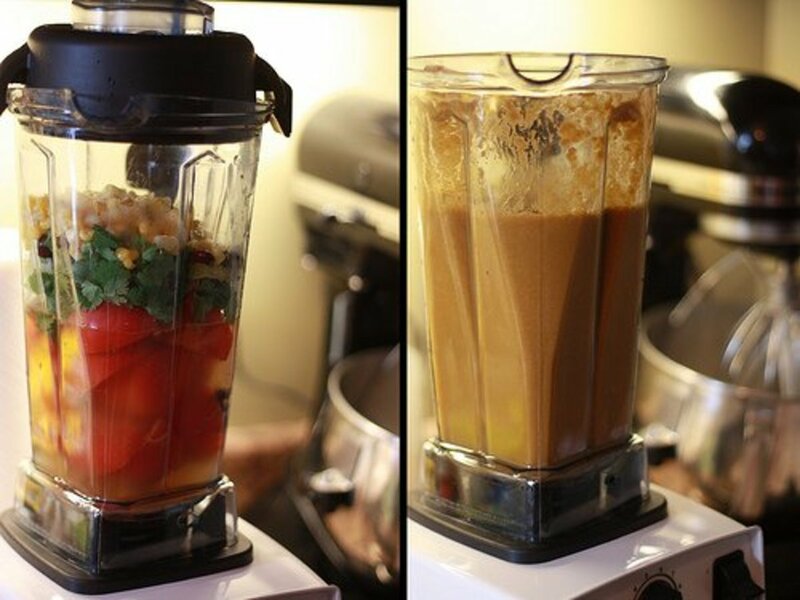 This looks yummy and easy. I think I'll try it tonight. A good dinner while I watch the Olympics opening. Thanks for publishing the recipe. Yummmy!! 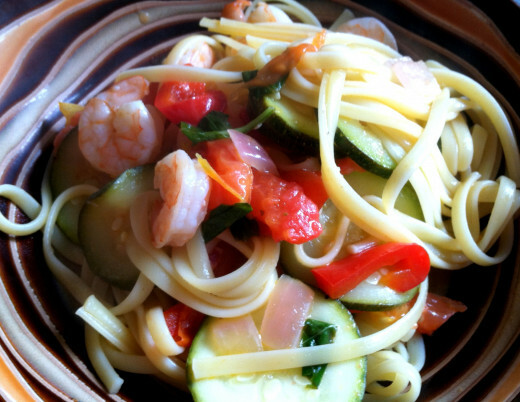 Shrimp pasta is an everyday favorite! Yummy!!! Thanks for sharing. I'll try this sometime. Your photos are also good. Voted up! Voted 5 stars and useful. 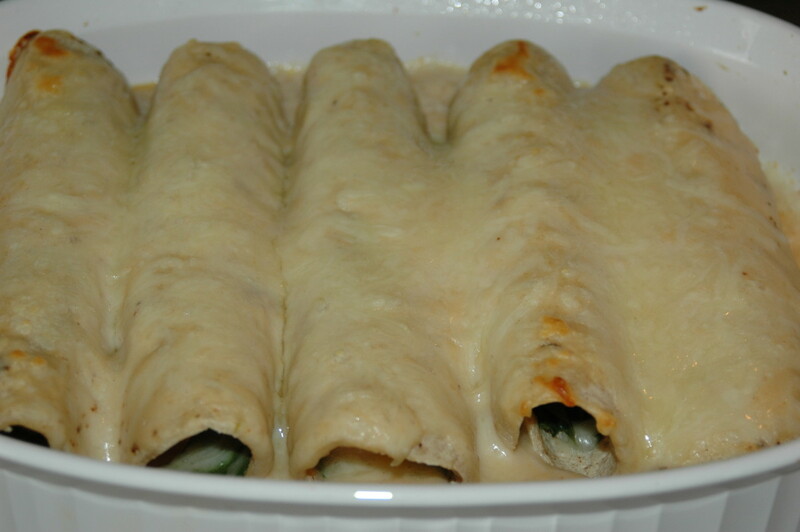 This recipe is simple, healthy and very easy to make. I like making food the most when I don't have to cook for hours, thank you very much. Mmm Mmm... love it! Ever had a pasta salad? Your pictures are terrific. Great instructions and recipes. I am looking forward to trying it. Up, interesting and useful. I happen to love shrimp and this dish looks so delicious and so simple that I will definitely have to try. I loved your step by step instructions and pictures that went along with them. Have voted and shared too. Also pinned to try this one!! 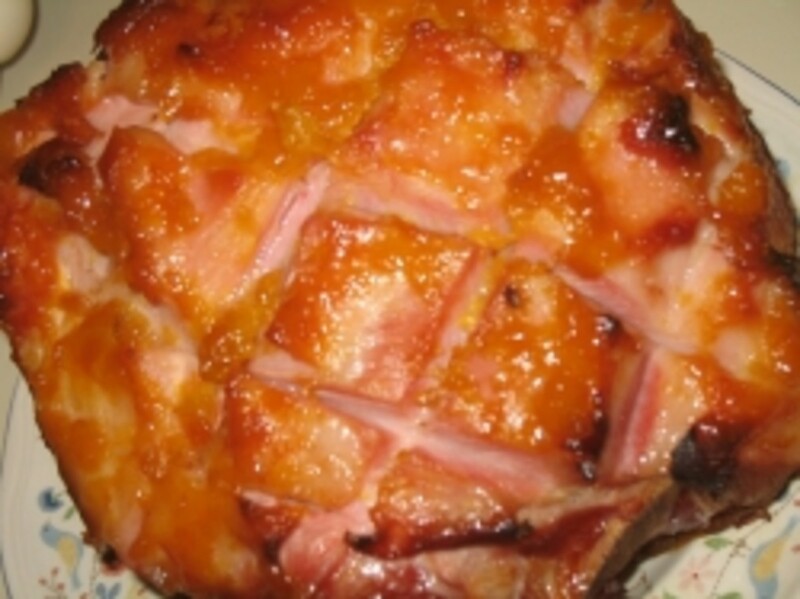 Not only does this recipe look delish..but the photos will get you cooking immediately. Like cookies and milk..I like that. Great hub Julie and gorgeous photos. Certainly Vote UP. Wow Julie! Where is the Taste button? 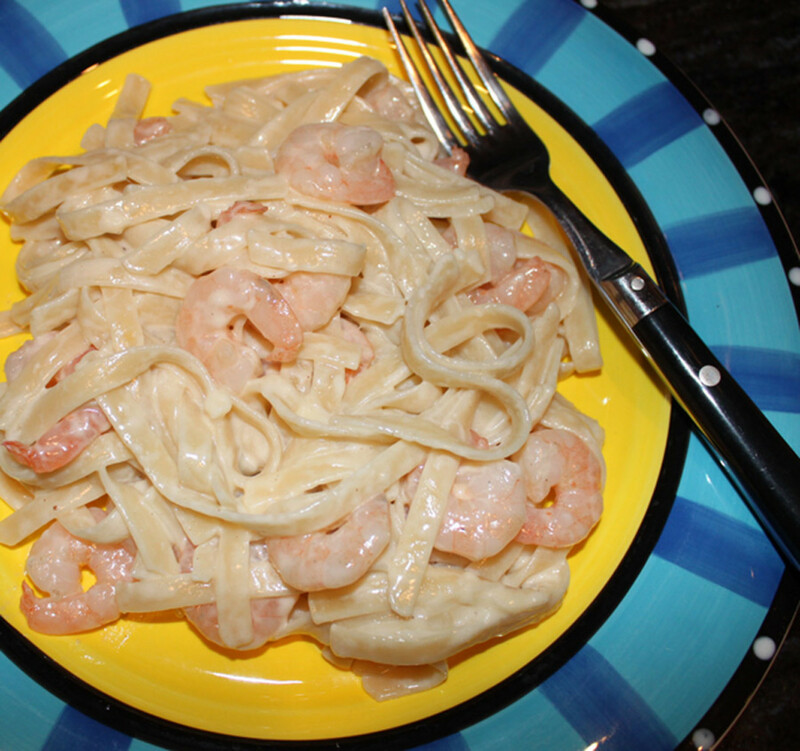 I did publish My scampi linguini long ago, and is pretty much the same, but yours tastes better, since a woman did it. We love those pics and your easy to follow directions. Now how could we put this into poetry?